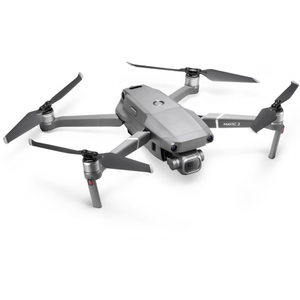 The Mavic 2 Pro is a drone released by DJI that boasts 20mp and a 1 inch CMOS inbuilt sensor that provides users with 4k video and 20mp photo at a range of 8 miles for 31 minutes in one go. The Lowest price of DJI Mavic 2 Pro in Pakistan is Rs. 204,999, and estimated average price is Rs. 262,999. The prices are collected from the best online stores in Pakistan like iShopping.pk, Shophive - updated Apr 2019. 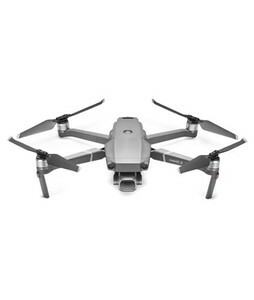 The Mavic 2 Pro uses the new ultra-precise, 3-axis gimbal stabilized 4k UHD camera with a builtin 1 inch CMOS sensor to give you the best high definition photo and video this available in a drone of this caliber. Not only this, but the Mavic 2 Pro also contains up to 8gb of internal storage to help you capture whatever you want, whenever you want without having to worry about low space. The ten sensors present on all sides of the drone allow it to automatically detect obstacles and save you from extensive damage. Free, circle, course lock, waypoint, hyperlapse, flight autonomy, advanced pilot assistance system, OcuSync 2.0, Sports mode and Active Track 2.0 are just some of the features that'll come to use when you purchase the Mavic 2 Pro.